It’s important for you to understand both your motivation for buying as well as the seller’s motivation for selling. If you’re new to the whole idea of being a small business owner and think that you’ll tell a few business brokers what you’re after and start mulling over bids a few weeks later, think again: With that mindset, you’re better off putting your money in an index fund. If you’re going to do this the right way, you’ll probably review at least a couple of hundred businesses before you plunk your money down. 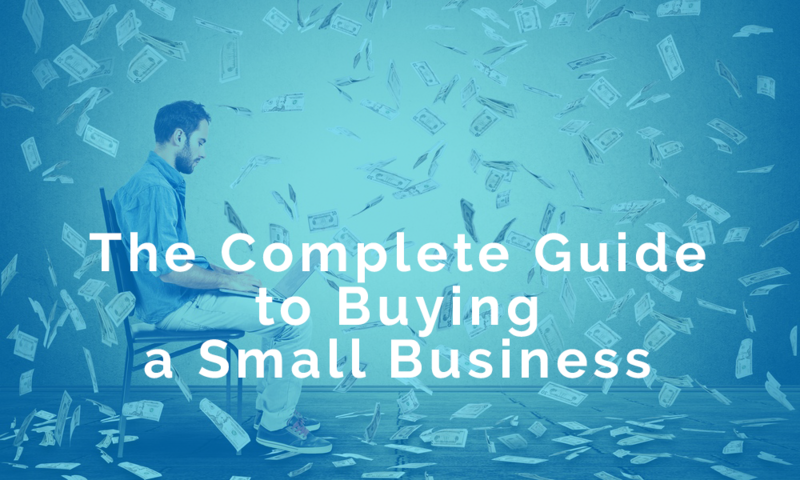 You’ll want your personal finances to be in good shape pro forma for the purchase of a small business. (Note: Those in the financial field love the phrase ‘pro forma,’ which describes assumed or forecasted information.) The reason is pretty simple: If you are going to finance any part of your purchase, you’ll probably need to provide a personal guarantee, which only helps your loan application if, for example, you have good pro forma ‘liquidity’ (that is, cash in the bank), significant equity in your home, or other readily-salable assets. Ideally some of your purchase price will be financed by seller debt, which effectively lets you defer part of the purchase price until the debt’s maturity in exchange for interest payments. It’s usually subordinated to bank financing with a slightly higher interest rate. Terms are highly negotiable, and seller debt does provide some reassurance that the seller thinks the business can succeed without him. It’s important to have a clear sense of how you’ll finance your purchase. A typical pro forma capital structure might be 30% cash equity, 20% seller note, and 50% bank financing. As an example, if you pay 2 times Seller’s Discretionary Earnings of $200k, then your capital structure might be $200k bank debt, $80k seller note, and $120k equity. If interest rates were, say, 7% for the bank debt and 9% for the seller note, then interest expense would be about $21k, easily covered by SDE (you might be able to do more debt here if capex isn’t too big a percentage of SDE). is integrated with its customers lifestyles or business operations. ‘Potemkin Village’ is a great expression, defined as an impressive facade or show designed to hide an undesirable fact or condition (some believe that an 18th century Russian prince put up fake settlements to fool the Russian Empress, his erstwhile lover, during her journey to his region; according to legend, the settlements were disassembled after she passed and re-assembled farther along her route to be viewed again as if new). speak with industry and regional experts. Does it have high operating margins? If you’re using SDE to evaluate operating profit—look for 25%+ margins. Small businesses typically sell for 1.5x to 3.75x SDE. Does it have recurring customers? Making your next sale to an existing customer almost always costs you less than having to make your next sale to an entirely new customer. Are customers and suppliers fragmented, so there are no concentration concerns? Would losing a single customer or supplier devastate you? Does revenue come from market growth, price increases, new products, not from poached customers? You don’t want to operate in an industry where customers are stolen easily. Are sales steady, that is, non-cyclical? It’s pretty much axiomatic that a small business has less margin for error: A mistake during a cyclical downturn can wreck a small business. Putting your money in the stock market is not as risky as, say, buying a mini-storage facility, so if you do the latter, you should price it accordingly because you need to be compensated for the additional risk, smaller size, and illiquidity. When you make your projections (and be careful about assuming hockey-stick growth or multiple expansion on exit), you should probably require a return on your equity investment of at least 25%. Putting a multiple on SDE yields a ballpark enterprise value (and potential purchase price), but you’ll need to project after-tax cash flows and make an assumption about your exit to see whether projected return is high enough. In some cases, the best assumption might be no exit, which isn’t necessarily a non-starter: For example, if you buy an asset for $100, it pays you $40 annually for five straight years, and then you simply shut it down (at no cost), you’ve earned a 29% return. If you can find a mini-storage operation like that, buy it. Closely review audited financial statements and tax returns for the last three years. Have recent, unaudited financials reviewed by an accountant whom you trust. Closely examine Seller’s Discretionary income: Are there unnecessary personal expenses? Are there sweetheart deals that will end when the current owner sells? For example, is the current owner’s brother-in-law a top-three customer? Are one-time gains buried in operating income? Look at monthly sales for a few years: Are they cyclical? Ask for sales by customer to determine concentration (is one customer 30% of sales?). Determine the aging of accounts receivable. What are days sales outstanding (DSO = A/R divided by average sales per day)? How does it compare to the payment terms the owner claims to give his customers? Are the customers financially sound? Look at customer returns: Are they high? Does the seller have reasonable assumptions for how much of A/R will turn into cash? What are days payable outstanding (DPO = A/P divided by average cost of sales per day)? Is the current owner making his payments in a reasonable amount of time or is he delaying for some reason? Are there any liens outstanding (e.g., UCC liens, tax liens, judgement liens)? Any off-balance sheet liabilities? Any weird reserves for legal judgments, etc? Be sure to have additional in-depth conversations with customers, suppliers, and employees. Are there “key man” concerns? Is there a vital and current characteristic of the business that you won’t be able to offer (veteran or minority status, etc)? Has there been significant past employee turnover? Inspect all equipment: Does it need to be replaced or does it need costly catch-up maintenance? Will the seller offer to sign a non-compete agreement? Or remain with the company for a transitional period? This can often help you find more attractive financing terms. With the help of a lawyer, review all legal documents (articles of incorporations, trademarks, patents, etc). Ask for copies of all contracts such as insurance, lease and purchase agreements, employment contracts, sales agreements, etc. Look for change of control provisions. You’ll want to have a lawyer review the purchase contract. If you’ve been thorough in your due diligence and as thoughtful as possible in your projections, you can sign those final documents knowing that you’ve done what you can to mitigate the risks involved in being your own boss. Good luck.